This is the complete log of SimplyHelp projects and activities that occurred during the year 2003. SimplyHelp distributed gifts and food supplies to 200 local homeless people and 300 children in Long Beach. SimplyHelp distributed gifts and food supplies to 500 homeless people. 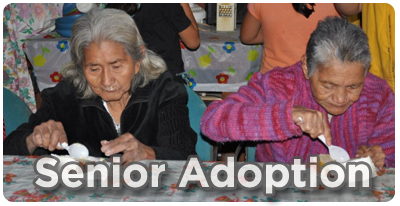 SimplyHelp went to three different local villages in Mexico to distribute over 300 gifts to the children. The SimplyHelp Club was established in Independence High School in San Jose, CA. 1. Two 3-day clothing drives were successfully held in which teachers and students brought in an amazing amount of donations. 2. Members went trick-or-treating on Halloween for donations. 3. Members put together shoeboxes for Operation Christmas Child. The shoeboxes were filled with toys and were then shipped by Samaritan’s Purse to other countries for children who would otherwise not receive any presents at Christmas. 4. The club joined members of the Southern California branch in Fresno to pass out clothing, toys, and food to 500 homeless in Fresno, CA. SimplyHelp’s volunteers packed a container for Honduras. Under the blazing summer heat, the volunteers continued work diligently despite of sweat and thirst. A 40′ container of clothing, shoes, household goods and baby needs was shipped to Honduras to aid the needy. With the support of some East Coast Chinese, donations of clothing, toys, office supplies and household goods were successfully received by SimplyHelp in Los Angeles. 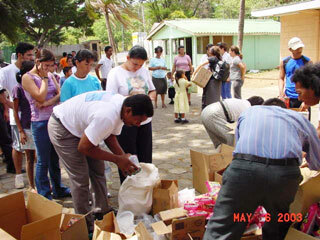 All goods were loaded into a 40′ container to El Salvador to aid the poor. Evergreen Shipping Co. provided a container to gather the goods, while the warehouse Johnson supplied storage facility. Upon return from the Honduras trip, the first thing SimplyHelp did was to arrange for the construction of roof tops and cement floors for the poverty-stricken residents living at the dump sites in order to improve their living condition. For Nicaragua, SimplyHelp prepared a 40′ container full of clothing, food, toys and daily necessities for distribution to the poor. Freight charges were covered by Mr. Ho. The rice supply was provided by a local Chinese business center. 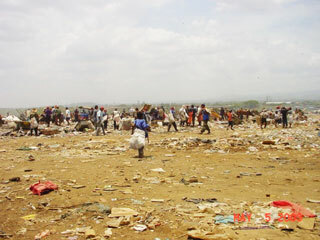 And a volunteer’s mother, Mrs. Chan, supplied the cost to the land improvement project on the dumpsite. Prior to going to Honduras, we found out that this country has many children, with 98% of them living in poverty. We also observed that the local city hospital had very minimal stock of medical equipment and supplies. So, upon returning to Los Angeles, SimplyHelp reported these findings to its volunteers, who were saddened by this news. They diligently prepared a 45′ container full of supplies such as air conditioners, computers, clothing, toys, rice, food etc., in hope to share their love towards them. Ultimate Freights covered the shipping costs. Hong Kong businessman Mr. Huang Hui Chuan supplied new T-shirts. Big Lots provided the food. Hu-Guo Temple and Mr. & Mrs.Chiang supplied the shipment of rice. Huang Hui Chuan. Big Lots provided the food. Through the assistance of Mr. Ho, we were able to see our Honduras volunteers’ hard work pay off when the smiles of 700 people greeted us. The recipients were very excited to receive food and gifts. This prompts SimplyHelp to vow that we must bring more happiness to them, so that they will have a brighter future. Volunteers Tina and Serena traveled to Central America on their personal cost, in order to observe and monitor the distribution process and results. Their first destination was Nicaragua, where they witnessed poverty-stricken locals living at dumpsites, a very heart-aching sight, enabling us to grasp the difference of living in heaven and hell. We hope that through SimplyHelp’s efforts, we can bring some improvements to their lives. Malawi is situated in the inland of Africa, adjacent to Zambia and Tanzania. One fifth of its 118,485 square kilometers is composed of lakes. The population of Malawi is about ten million. 99% are natives, with a small portion of Indian Asians and the descendants of early European immigrants. Malawi’s economic development has been slow. 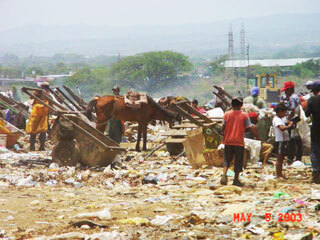 It is one of the ten poorest countries in the world. Due to natural calamities, there has been much shortage of food. There are thousands of people in Malawi on the verge of starvation. The average GNP is $180.00. Volunteers of SimplyHelp have been busy packing, setting and loading up clothing, food, and household appliances with the hope of sending some warmth to the people in Malawi. 03/28/03Click Here To See A Press Clipping For This Event! Chinese volunteers on the east-coast of the United States are filled with enthusiasm to help people in need. Volunteers and Mr.Yu have donated 100 cases of new clothing and 5000 pounds of rice. Tina and Serena of SimplyHelp traveled to New York and New Jersey to help establish regional branches of SimplyHelp there and to coordinate the work for the shipment of the above-mentioned donations to Honduras. 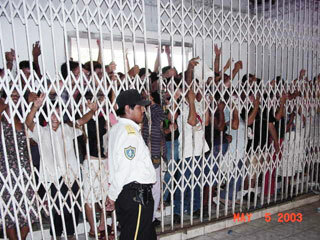 The poorest country in Central America is Nicaragua. Needed items include clothing, household goods, footwear, and food. 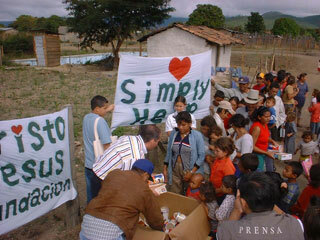 The volunteers of SimplyHelp were busy packing and loading donations into a 40-ft container for the needy in Nicaragua. 02/22/03 Click Here To See A Press Clipping For This Event! Volunteers of SimplyHelp distributed 400 pounds of rice, spaghetti, a refrigerator, and clothing at Our Lady of Charity in Lancaster. Student volunteers helped to cook soup and distribute fruit and clothing to the homeless people and low income families there. A Buddhist Temple donated rice and spaghetti. A 45 foot container of food, rice, clothing, computers, and furniture was sent to Somalia and was distributed in orphanages, hospitals, and slums. 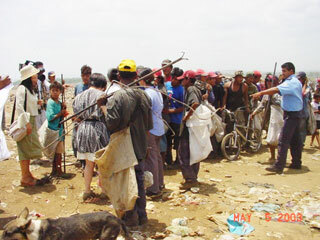 The distribution was completed with the help of local volunteers. SimplyHelp also opened up a Computer Training School there. Food was donated by big Lots, freight costs were donated by Wang family. SimplyHelp shipped a container full of fabric to the “Seawater Tailoring School” in Cambodia. This shipment was sponsored by many businesses. A group of students from the Cambodia computer class and other volunteers helped with the work of distributing the donated items. Rice was donated by a Buddhist Temple, freight donated by Mrs. Wu and Judy. SimplyHelp’s Northern California Branch participated in the Spring Festival Exposition activities sponsored by the World Journal. Juicers donated by Sandy Liu were put on auction by SimplyHelp to raise funds for the charity work in Central America. In four days we sold 400 juicers, raising $4,386. On the same occasion, many people registered with SimplyHelp as volunteers. 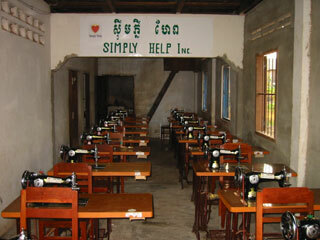 In a rural area in Cambodia, SimplyHelp opened up a Vocational Training School named Seawaters. The training period ranges from six to eight months, beginning with the basics, such as stitching. Sewing machines donated by Dou family, tuition donated by Wang family. 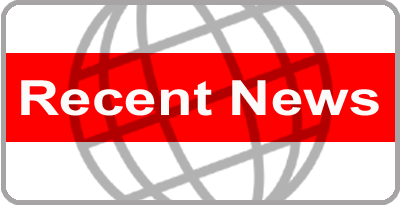 01/02/03 Click Here To See A Press Clipping For This Event! After two months of preparation, SimplyHelp arranged the shipment of a 40- foot container of clothing, food, and furniture to Nicaragua for the needy.